I’m often asked how to use medicinal herbs as food. It’s easier than you think. You probably already cook with medicinal herbs all the time without even knowing it. Many of our favorite culinary herbs are exceptional medicine. These include pepper, basil, ginger, oregano, garlic, thyme, cinnamon and so many more. 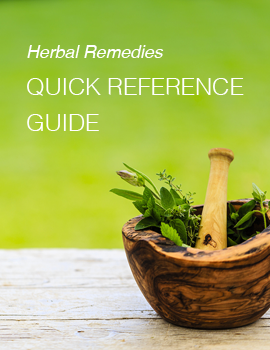 These herbs were often originally included in recipes specifically for their medicinal benefits. We enjoy their taste so much that we continue to use them. This encourages us to incorporate them into our diets more often. Eating medicinal plants has been practiced by both humans and animals since the beginning of our existence. We evolved right along with plants, eating them for food as well as medicine. Animals in particular have the innate ability to understand which plants to eat for their medicinal benefits. Scientists call this zoopharmacognosy. “Zoo” means animal, “pharma” means drug and “gnosy” means knowing. Observing animals self-medicating may be where humans learned about the use of many plants. While tinctures are more quickly absorbed into the blood stream than herbs in our guts, learning how to use medicinal herbs as food has its benefits. In some cases, eating plant medicines is the best way to take them. Many herbs are loaded with minerals and vitamins. This nutritional aspect is in itself beneficial and healing. Let’s look at some examples of how to use medicinal herbs as food. Bitters are one of the best examples. Many herbs taste bitter and you can steam them as a side dish or use raw in salads. Dandelion leaves are a well-known bitter herb. It is this bitter taste that gets the digestive juices flowing in the body which is highly beneficial to good digestion. Most of our grandparents knew all about bitters and used them often. Other medicinal foods that aid digestion include both chili peppers and ginger. You likely have eaten both of them before and felt their effects. Eating ginger has other medicinal benefits as well such as helping to reduce inflammation. Both poor digestion and inflammation are the roots causes of many diseases. Many Mediterranean culinary herbs familiar to you such as sage, oregano, and thyme are valuable antibacterial medicine. Basil made into pesto is an excellent way to enjoy mood enhancing medicine. Relaxing, refreshing mint can be added to salads. Indian spices such as cardamom, cinnamon, cumin and clove are warming medicines. You probably eat garlic all the time. It’s an herbalists favorite with a long list of uses for many ailments. Most importantly, it helps to lower blood pressure and cholesterol. It is another great antibacterial herb and exceptional for colds and flu. While garlic is best medicinally when eaten raw, it’s still valuable medicine cooked in food. Another example of how to use medicinal herbs as food is to incorporate medicinal roots into soups and stews. Boiling the roots extracts medicinal compounds just like making a tea. The beauty is that you leave the root in the soup and eat it right along with the other hearty ingredients. There is no waste. Burdock root is a favorite for this. It benefits the liver and many types of skin issues. It tastes good too and can be cooked in any way in which you would cook carrots. You can even shred them and add a tasty seasoning for a side dish. In Japan, they cook with burdock root often which they call gobo. You can replace other common foods with healthy herbs too such as using nettles in place of spinach for all types of dishes. Nettles has a wealth of medicinal uses and a higher concentration of nutrients than spinach! Powdered herbs can be mixed with nut butters and honey to make pastes and other treats. These make fabulous desserts when combined dark chocolate and coconut. You can also incorporate herbs into frozen desserts with fruits to make healthy sorbets and granitas. As you can see, there are so many easy and delicious ways to get your medicine into your food. All it takes is a little creativity. Thanks for letting me know. I just tested it and it worked fine. Wold you be able to try again and let know what happens? Thanks so much! Dandelion greens are great raw but if they did get older, I would cook up some bacon and cook the greens. My father used to use the flowers to make wine. Burdock was used in some fritter type of thing or pancake-ish. I never did do it but I saw many Italians go crazy for burdock. They’d get the wild stuff and that was what they used. While living in Italy, locals would carefully go across a field looking for goodies to pick. I have no idea what they might going for but it was not too wild. I wish I knew now. Anyway, there have been some days I was about to go and look for dandelion seeds. Oh…and the roots!! I would wash them good, dry then and roast them to use much like the chicory. I love these stories. Thanks for sharing. Check out last weeks blog post on coffee substitutes.